Playing at Paris Sorbone Anphitheatre. 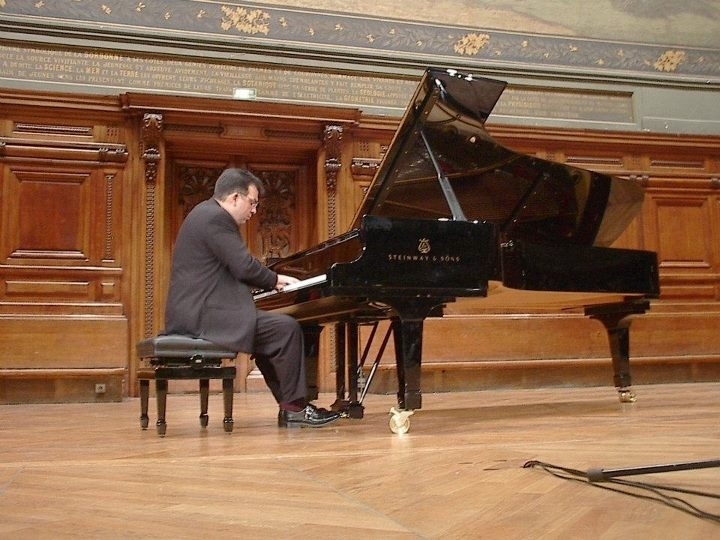 Following is the remarkable works list I have played during 30 years in my pianist career. 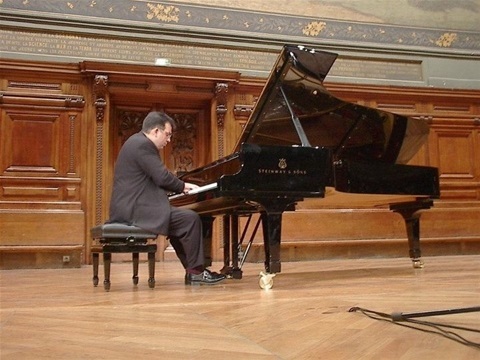 Trio Op 70 Num 1 "Ghost"
Polonaise Op 40 Num 1 "Militaire"
Concert Etude Num 3 "Un suspiro"
Preludes "Voiles" and "Le vent dans la plaine"
Tocatta from "Le tombeau de Couperin"